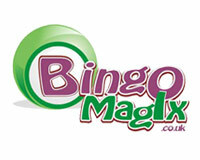 Bingo MagiX is an online bingo powered by Cozy Games, Eyecon and Microgaming owned by RASR Entertainment Ltd.
18 results for Bingo MagiX. Deposit £10 and play with £40. Lowest WR 4xb WR: Bingo 4xb. Games allowed: Slots , Bingo.. This bonus is valid for new players. Games allowed: Slots , Bingo.